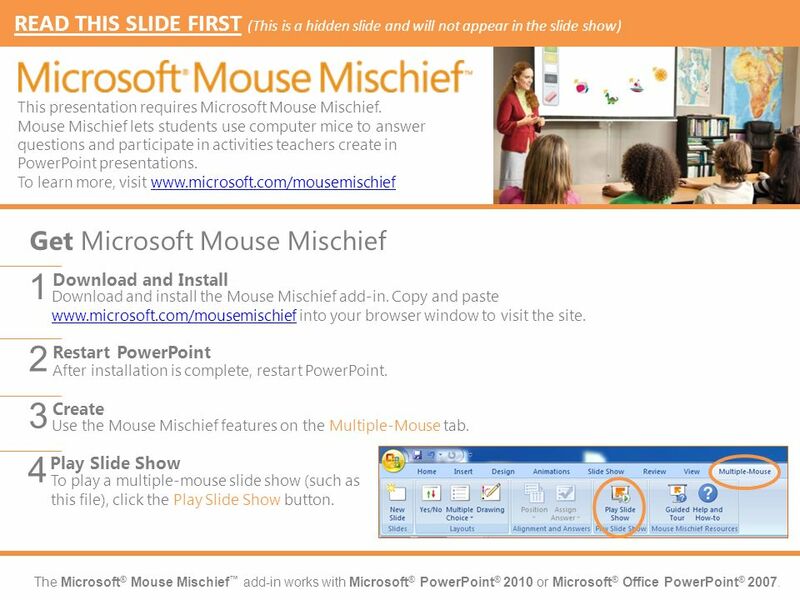 The Microsoft ® Mouse Mischief add-in works with Microsoft ® PowerPoint ® 2010 or Microsoft ® Office PowerPoint ® 2007. Download and install the Mouse. 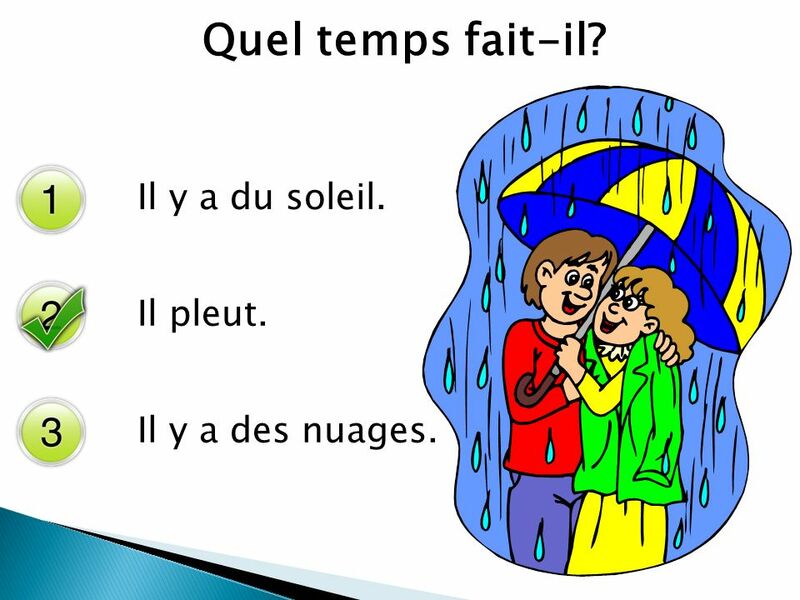 11 Quel temps fait-il? Il y a du soleil. 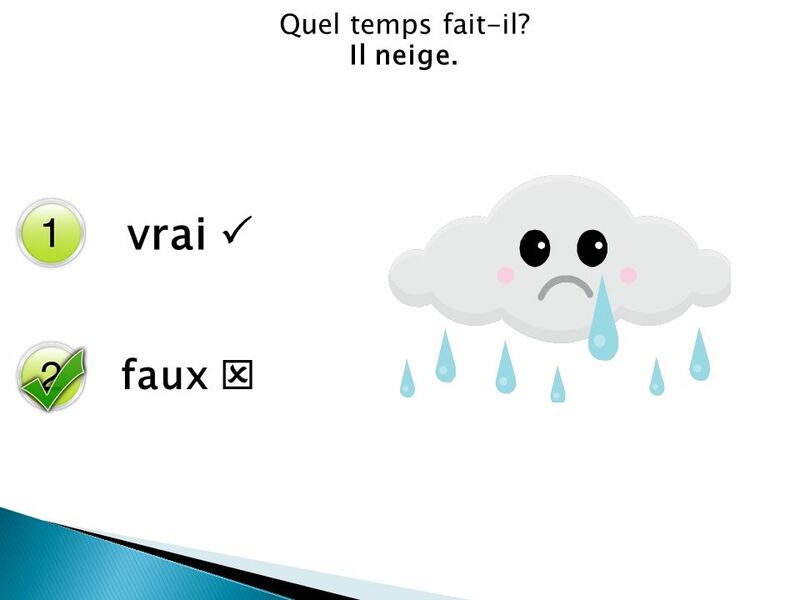 Il pleut. Il y a des nuages. 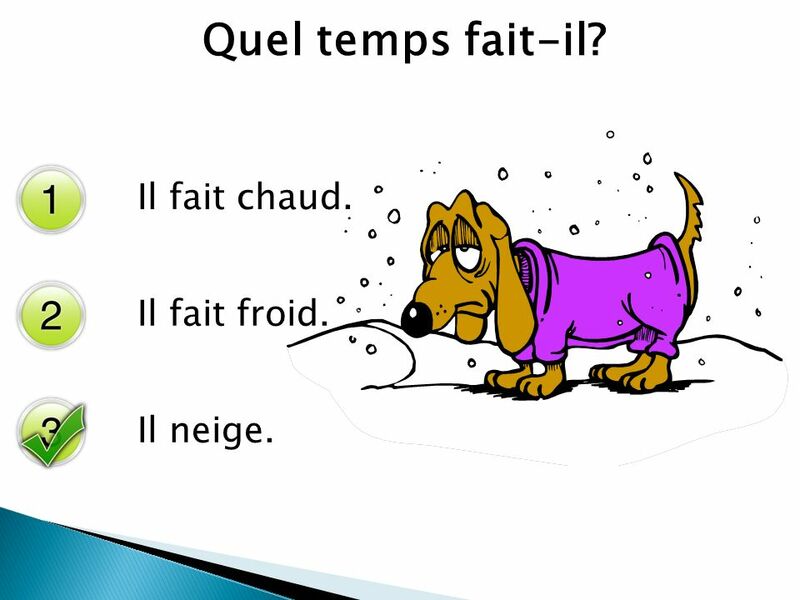 12 Quel temps fait-il? 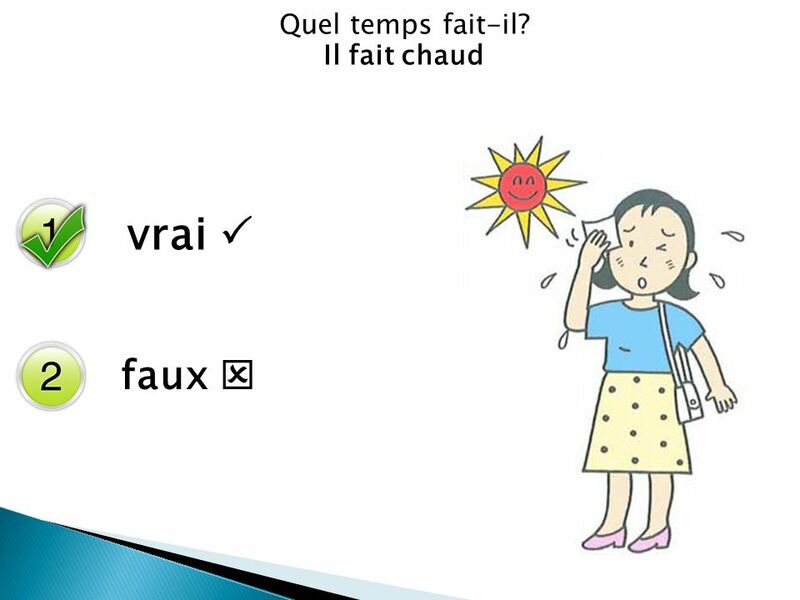 Il fait chaud. 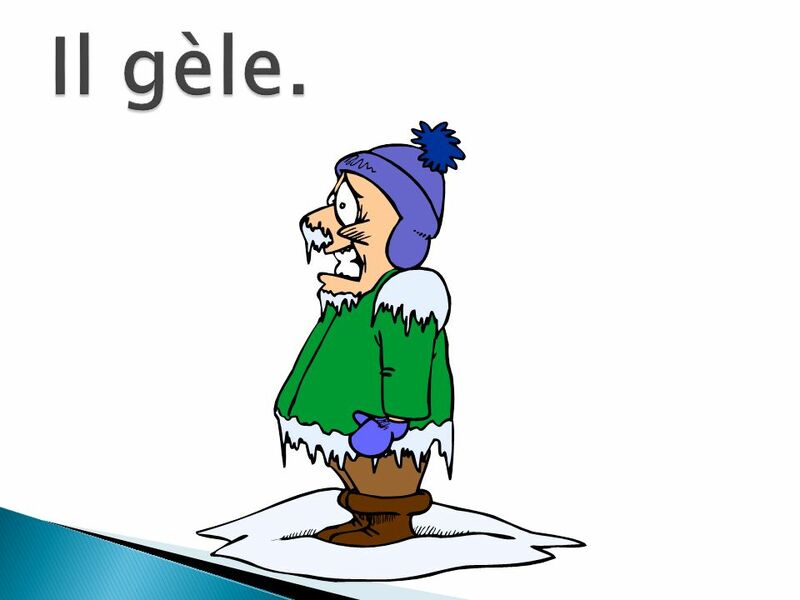 Il fait froid. 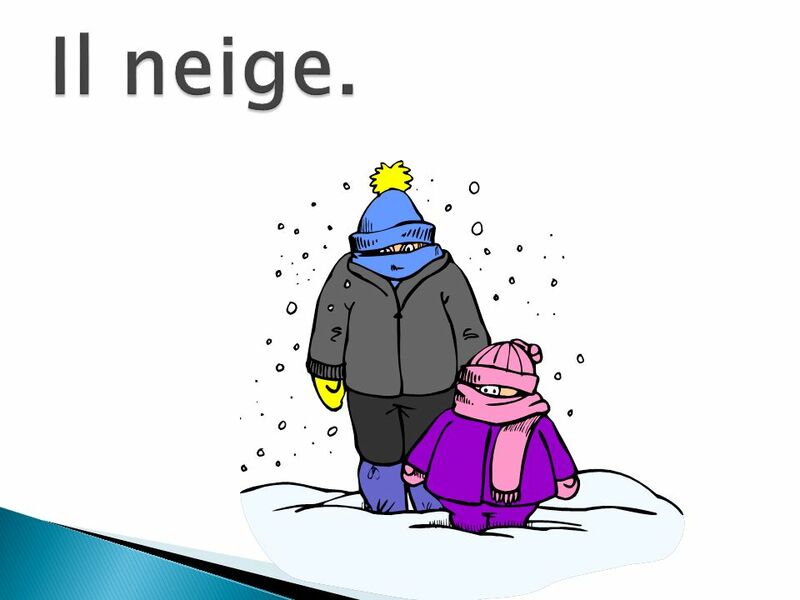 Il neige. 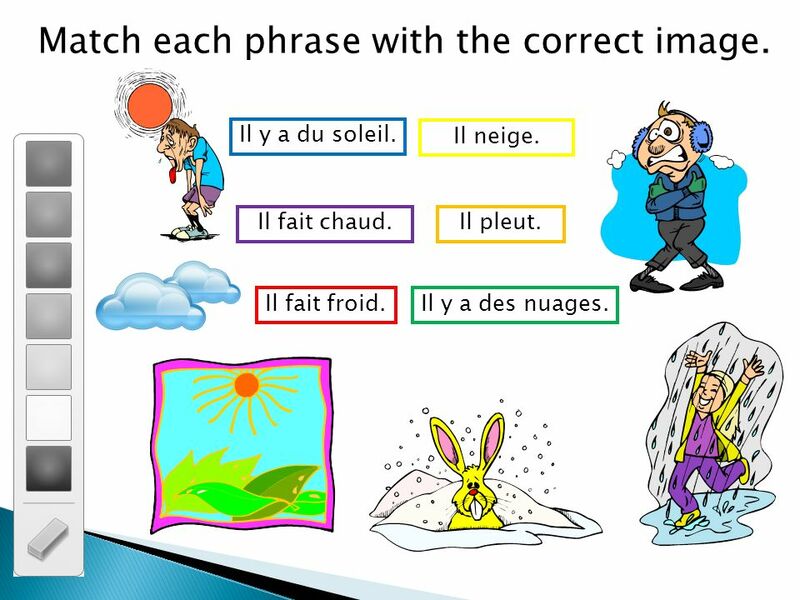 13 Match each phrase with the correct image. 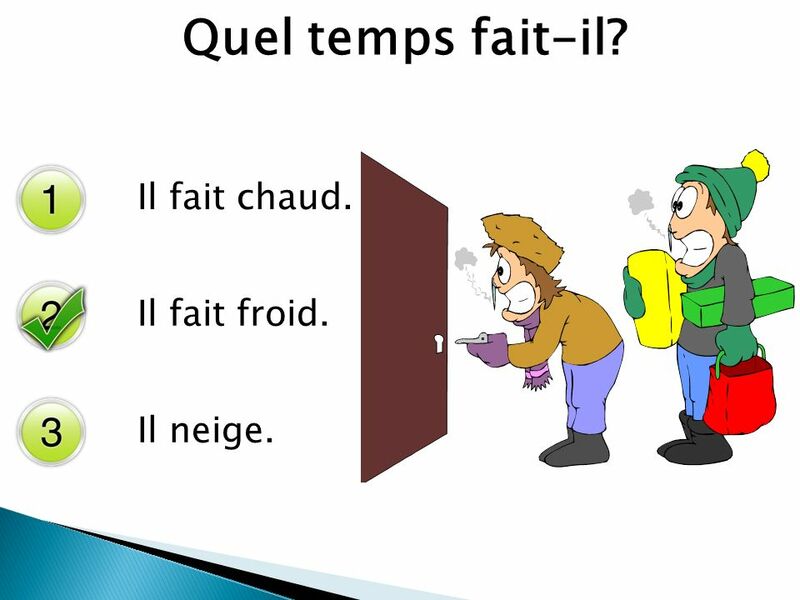 Il fait froid. Il fait chaud. Il y a des nuages. 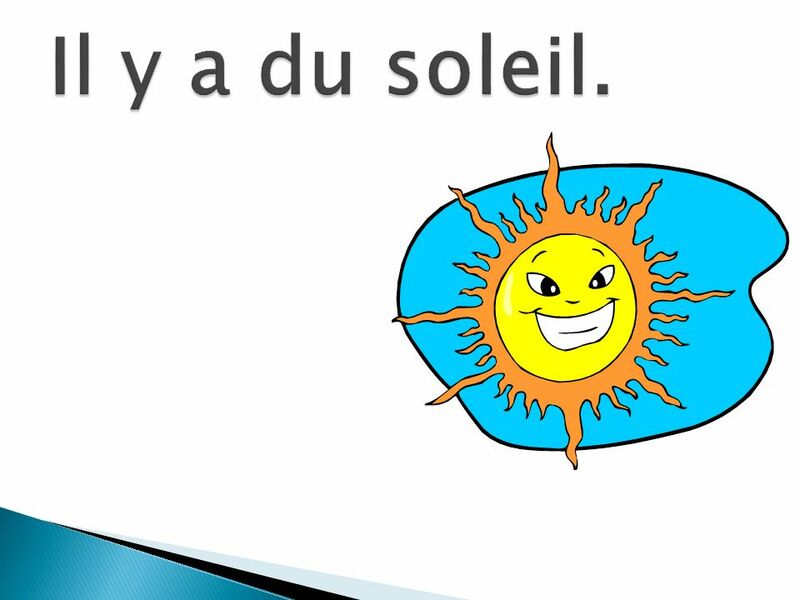 Il y a du soleil. 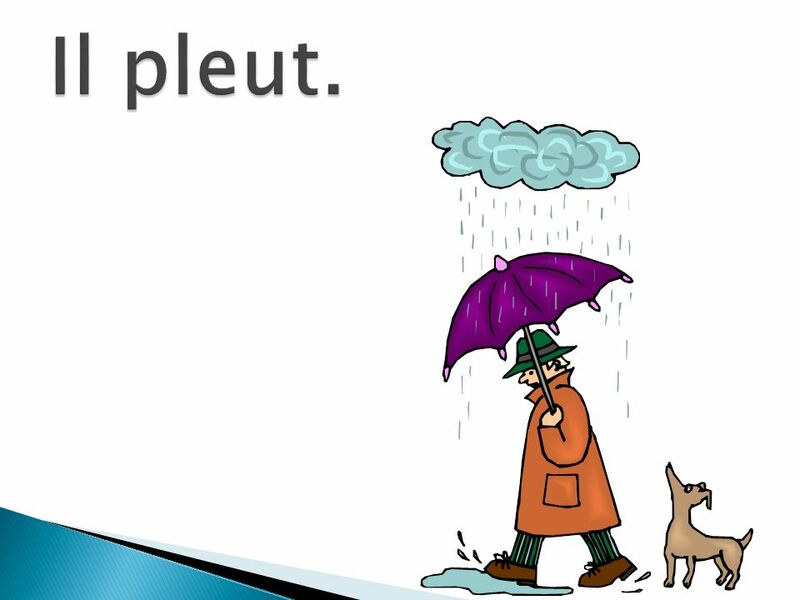 Il pleut. Il neige. 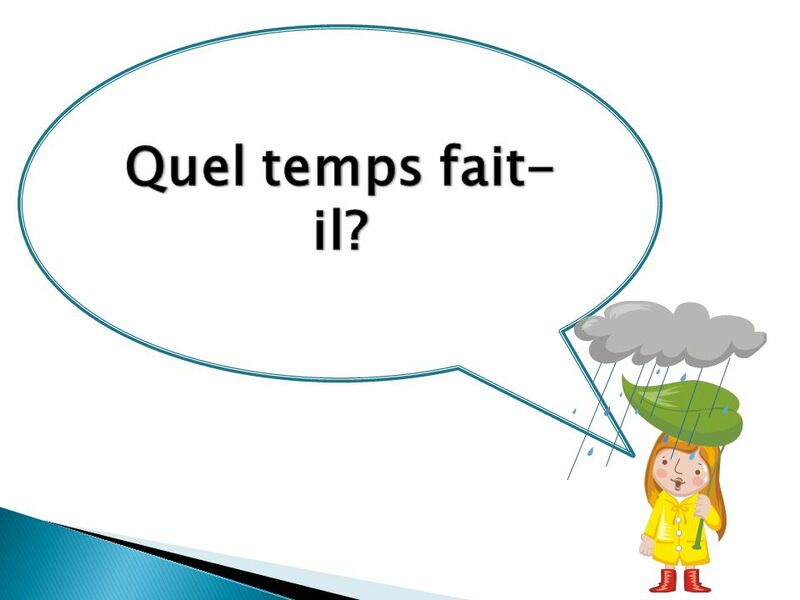 14 Quel temps fait-il? 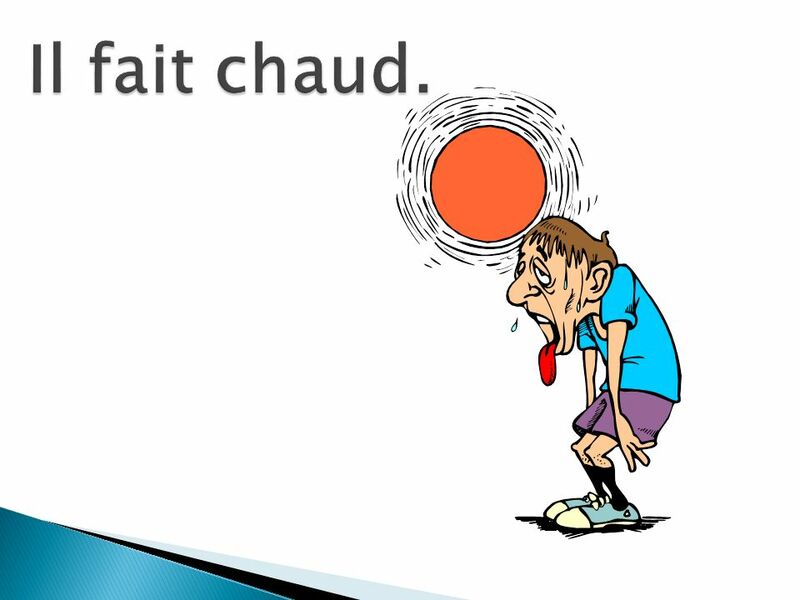 Il fait chaud. 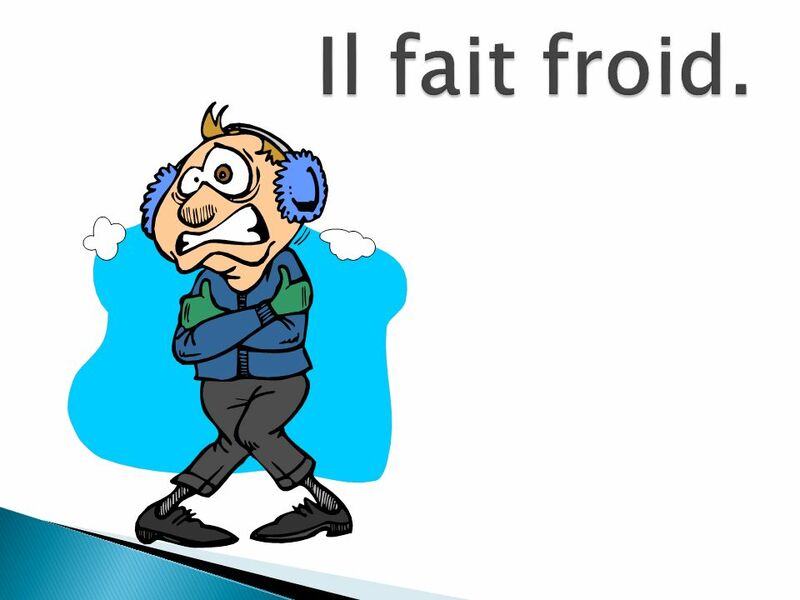 Il fait froid. Il neige. 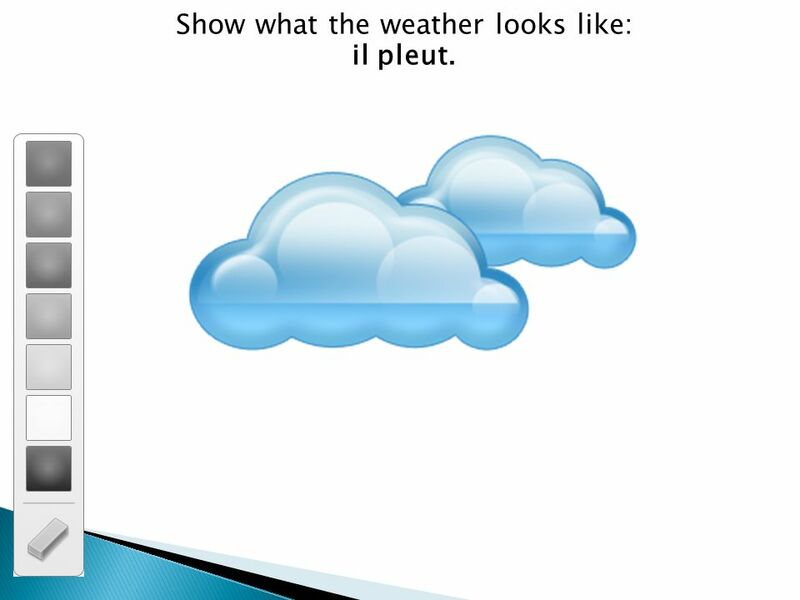 15 Show what the weather looks like: il pleut. 18 Cherchez lintrus! À Grenoble il neige. Á St. Malo il y a des nuages. ST MALO À Cannes il pleut. À Paris il pleut. 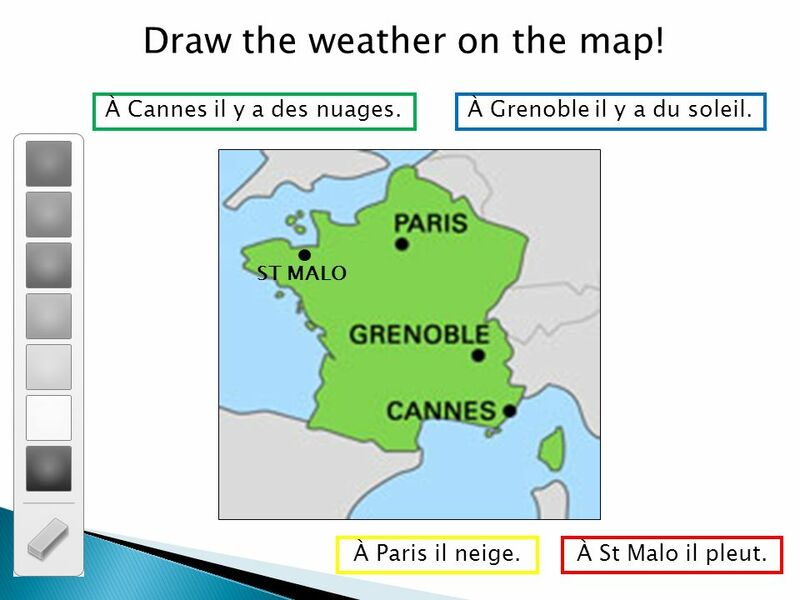 19 Draw the weather on the map! 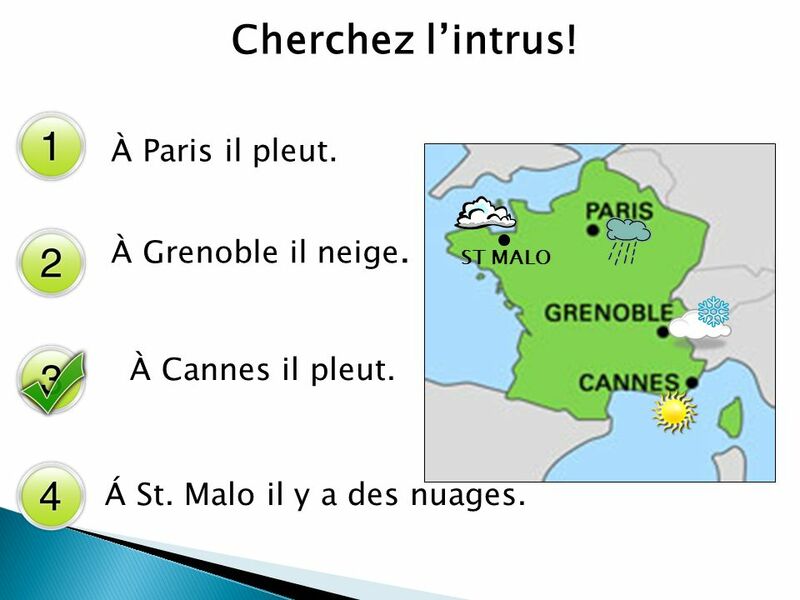 ST MALO À Cannes il y a des nuages.À Grenoble il y a du soleil. 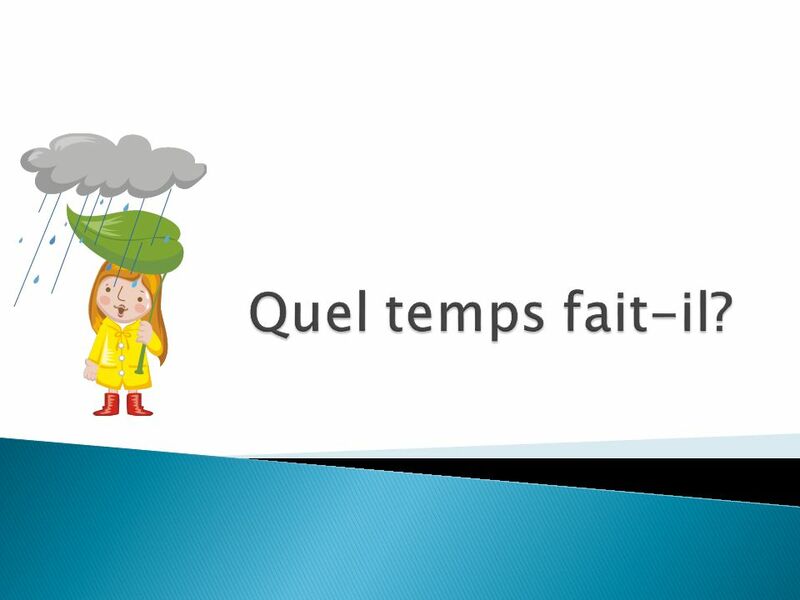 À St Malo il pleut.À Paris il neige. Télécharger ppt "The Microsoft ® Mouse Mischief add-in works with Microsoft ® PowerPoint ® 2010 or Microsoft ® Office PowerPoint ® 2007. Download and install the Mouse."